I’ve seen a post online from people asking ” is there a computer system for riding centres ” and the obvious answer is YES. It’s right here. Stable Management was started back in 2004 and since then has been working with riding centres around the world to help them improve their businesses using the computer booking system. 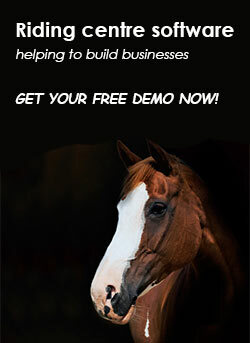 The software has been built from scratch and takes into account the way in which real riding centres work. We haven’t forced you to change or be something you’re not. The power of the software is in the speed at which you can administer lessons and clients in a real time situation i.e when the clients are actually with you in person. You can handle the financial transactions and that in turn feeds into the business reports that help the yard to recognise spending habits and weaknesses in the business. Over the years more yards have come on board and when they do we give them time t bed in before asking for feedback. Once that feedback is received we look at the system and see if we can better the way in which it works for you. In essence this is a computer system for riding centres that has been designed by riding centres and that in itself is where it excels. If you need any advice or want to talk it over please get in touch.